Pupils in the Centre for Autism all have a Statement of SEN or EHC Plan which states that they require “access to a specialist ASD provision with a broad and balanced curriculum, appropriately differentiated and modified to allow them to make progress at their stage of development”. We deliver a curriculum which is modified and differentiated to ensure the children can access learning at their level. Due to the nature of the individual children’s learning styles and profiles it is necessary to be flexible and offer personalized programs. A two year curriculum framework is in place which provides termly themes offering motivating and meaningful learning opportunities for pupils with autism. We use the National curriculum as a guide and Equals schemes of work which are specifically designed for pupils with SEND are used to support differentiation and modification of the curriculum. We incorporate a variety of teaching methods to suit our childrens’ different learning styles. Some children benefit from a multi-sensory approach that accommodates their kinaesthetic and visual learning styles. The curriculum allows for tasks and activities are broken into manageable chunks to help the children develop organisation and sequencing skills. We address areas of need in relation to ASD which impact of the child’s ability to access learning through the SCERTS curriculum. SCERTS is a nationally recognised evidence based framework for pupils with ASD which addresses areas of strength and difficulty associated with ASD. 30 pupils in the Centre for Autism - All of the children have a diagnosis of ASD and all have a statement of SEND or Education Health Care Plan (EHCP). Some children have learning difficulties or comorbid diagnoses including Attention Deficit Hyperactivity Disorder (ADHD), Oppositional Defiant Disorder (ODD) and one child has profound bilateral hearing loss. The levels within the Centre range from P3 to 2b with 23 children achieving at P Levels (below national curriculum levels) in reading, 25 in writing and 18 in number. All of the children are achieving below age expected levels. 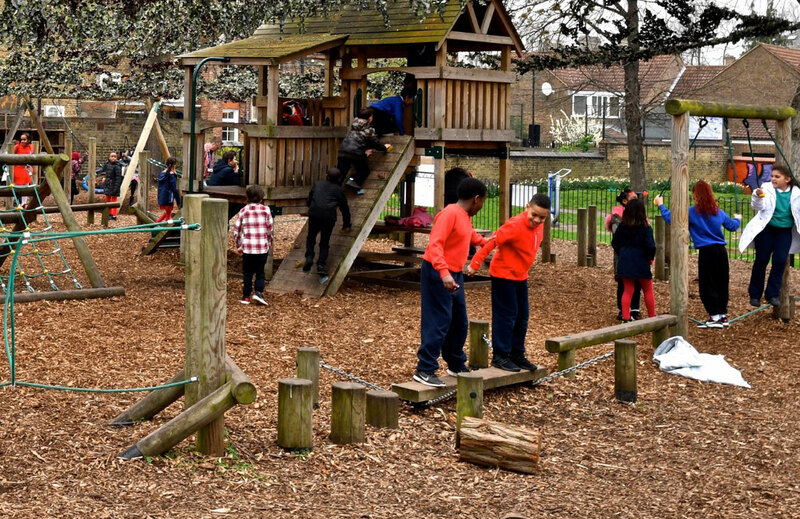 This is due to difficulties they experience as a result of their Autism Spectrum Disorder (ASD) diagnosis but many children have additional learning difficulties. We set targets for pupils using Progression Guidance as set out by DFE. This outlines the expected progress given the children’s starting points. Progress is measured using B squared assessment tool. Our curriculum planning promotes differentiated targets and outcomes in all areas of learning and is tailored to individual needs. The curriculum is taught using cross curricular themes and covers subjects as set out in the National Curriculum. Careful consideration is taken with regard to themes and approaches in order to provide maximum access and engagement for pupils. We ensure coverage of subjects and skills as outlined in the National curriculum but modify them to meet the children’s needs and ability, offering structure and opportunities to repeat and generalise. In order to maximize access to the curriculum, pupils are taught using a range of strategies appropriate for individuals with ASD including Picture Exchange Communication System (PECS), Teaching and Education of Autistic and Related Communication Handicapped Children (TEACCH) and the Attention Autism program. The environment is adapted to consider the children’s difficulties around attention, processing information and sensory sensitivities. We place high importance on the teaching of social communication skills and life skills in order to facilitate developing independence for our pupils. Social communication skills are taught and practiced throughout the curriculum with a focus on generalizing skills across a range of people and situations. This plays a vital role in helping pupils to develop friendships as well as positive interactions and self-image. The teaching of social skills is integrated into the teaching of life skills. Life skills program includes; accessing facilities in the community, cooking, swimming, shopping, bike riding, after school sport and art clubs, using public transport, meeting new people, self care skills, growing up and changing, relationships, road safety, E safety and safety in relation stranger danger. The starting point has to be based on an understanding of how the pupils’ autism impacts on their learning. We use the SCERTS curriculum which is a nationally recognised evidence based framework for pupils with ASD which addresses areas of strength and difficulty associated with ASD. We carry out SCERTS assessments twice a year (Jan and July) and use them to set IEP targets. IEP targets are considered in teachers planning of lessons. Academic progress is measured against P Levels and the national Curriculum. B SQUARED is used to record the small steps progress within the P levels and NC levels. A variety of evidence including; photos, videos, work samples and observations is collected and monitored to ensure coverage and that the evidence matches with teacher assessments. Assessment is on-going throughout the child’s day in order that we build a clear picture of their abilities. Skills need to be assessed in range of situations to ensure that that the pupils are able to generalise. Apart from setting termly targets for the core subjects, teachers also share 3 targets with each pupil which are agreed and reviewed with parents on a termly basis. Pupil progress meetings take place mid - year. Termly meetings are held with teaching staff to evaluate themes. Termly monitoring of teaching and learning is carried out. We work closely with a range of professionals to ensure that pupils have access to a curriculum that is suitably modified and differentiated to allow them to achieve and succeed. Annual review meetings are held to ensure the children’s needs in terms of accessing the curriculum are being met, if necessary adjustments are made during these multi-agency meetings.